zarinahtakesapaycut: ICAEW ~ How do you choose your authorised training employers? To train ACA students, your organisation needs to become an ICAEW authorised training employer (ATE). Becoming an ATE is a free and straightforward process. You’ll need to make sure your organisation can meet our training standards. Among the requirements that need to be fulfilled for any firm to qualify as an ICAEW authorised training employer is the appointment of a QPRT, that is the Qualified Person Responsible for Training. One of the duties of the QPRT is the training in ethics. Provide structured training in professional ethics within the organisation. Promote an ethical environment and the discussion of ethical issues within the organisation. What are the checks and balances in place to ensure that not only is the QPRT qualified to impart ethical values to the students, but that the firm itself has an ethical culture which is worthy of emulation? "And yet two years after passage of Sarbanes, companies are still struggling to come to grips with defining the characteristics of an ethical culture that will truly reduce the risk of fraud and scandal. 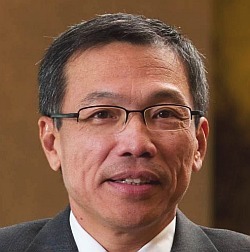 Is Chin Kwai Fatt the fount of ethics in PwC Malaysia. We think not. And why hasn't he reported this blog to the MCMC or the Malaysian Police yet? Taking PwC Malaysia as an example. Its Chairman, Datuk Seri Johan Raslan, is a member of the Securities Commission of Malaysia's Corporate Governance Consultative Committee. The Securities Commission charged the engagement partner of Roger Yue, Tan & Associates for abetting a listed company in submitting false information (inflated earnings) to Bursa Malaysia. Johan Raslan's role in the Securities Commission means that there is no way for this charge to escape his notice. So, why does Datuk Seri Johan Raslan, as the main shareholder and a director of PricewaterhouseCoopers Consulting Sdn Bhd (464379-U) still use the firm of Roger Yue, Tan & Associates as the auditor? The PwC has a global Code of Conduct which is meant to be used as the guideline for the PwC firms and staff worldwide. We will put one of the questions we have asked before, for which, just like everything else that has been asked, there have been no answers from PwC or its representatives. individuals before taking action. We follow our applicable technical and administrative consultation requirements. Q4: Is that how the 4 senior partners under the leadership of Mr Chin Kwai Fatt came to the decision to continue using a tainted auditor to audit the books ofPricewaterhouseCoopers Consulting Sdn Bhd (464379-U)? You consulted each other as being the appropriate PwC individuals in this case? took this course of action? If there is sufficient room for doubt whether PwC Malaysia even follows its organisations own Global Code of Conduct, shouldn't the ICAEW then have a look at whether they have enough checks and balances, which go beyond the mere filling up of forms, to ensure that its future members have truly been 'schooled' in ethics?